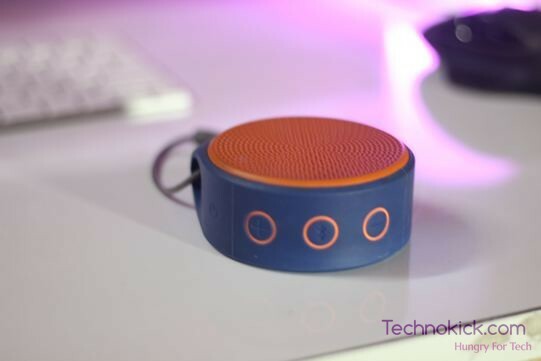 Logitech X50 Portable Bluetooth Speaker Review! 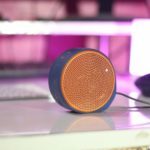 Recently I was searching for a good Bluetooth speaker after getting disappointed by the Le Tv Bluetooth speaker. Luckily there was a lighting deal going on, on amazon and I was able to grab Logitech X50’s for 1400 bucks. So after using them for more than a month, here I present you my review. Want to know how I got the above image? Click here! 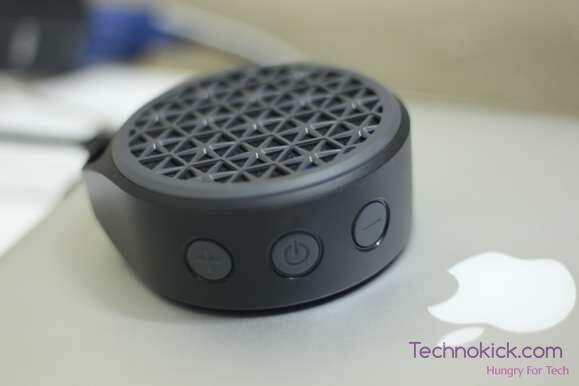 The Logitech X50 features a plastic body with a rubberised bottom. On the top, you get a different colored plastic grill with triangular sections. This makes the whole speaker look funky and cool. There are three circular buttons on the side which too are made up of rubber. 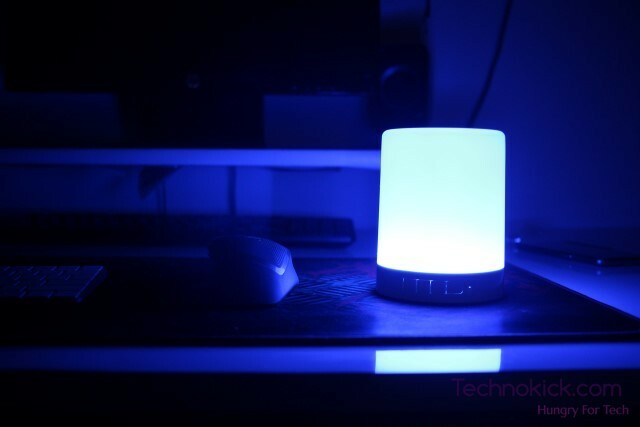 On top, you also get a multi-colored LED which turns blue when turned on and purple when pairing. Overall the Design and build quality are great. I have dropped it a few times and there is not even a single scratch on it. 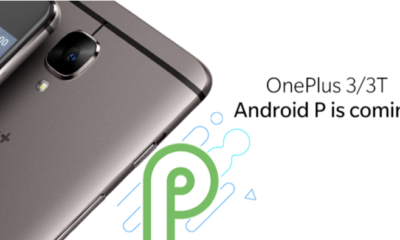 On the connectivity front, you get an option for auxiliary input as well as for Bluetooth. 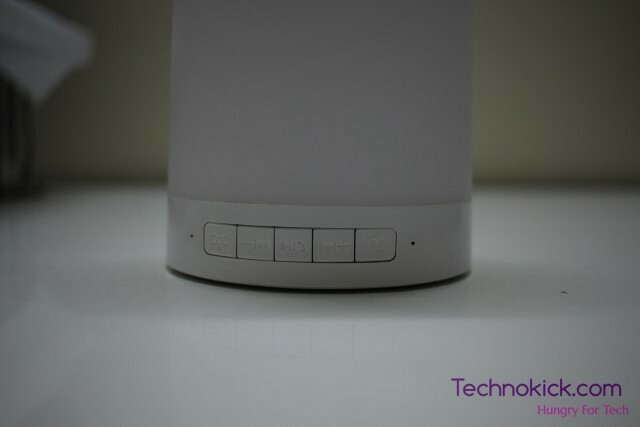 The Bluetooth used here is Advanced Audio Distribution Profile (A2DP) which ensures you get max range with good quality of sound. I would have liked the inclusion of an aux cable. In the box, you only get a small micro USB to USB cable. 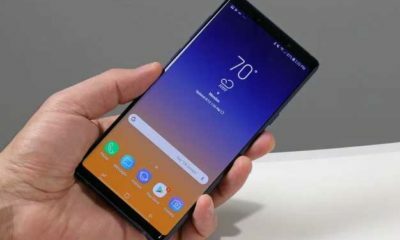 The sound is clear up to 90% of volume bar. It gets pretty loud and is sufficient for medium to large rooms. It is even louder than the Le Tv Bluetooth speaker and has, even more, bass then it. Actually, it is as loud as the speakers triple of it’s size. 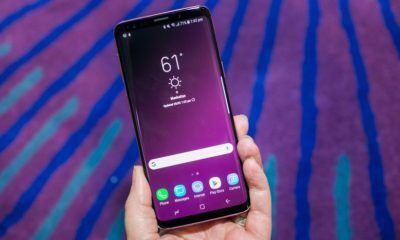 The Bass and treble are on point and you won’t be able to differentiate between its sound and sound of any 2.1 which you might be using with your PC. Because of this, I have removed my Creative 2.1 setup as it used to create a lot of wire clutter. I can’t show you how loud it is or how clear the audio is but believe it. It is Amazing how such small speaker outputs such fantastic audio. The battery life claimed by Logitech is 5 hours on 100% volume. in my testing, I was able to get 7 hours of playback in 6-70% volume. This will be enough for a medium sized room so normally you can expect a battery life of around 7 to 8 hours. Once the battery is drained, You can charge it within 2 hours. If you are someone who appreciates good music then You should definitely buy this. This is far better than any speaker in this range and even better than speakers in the upper range. 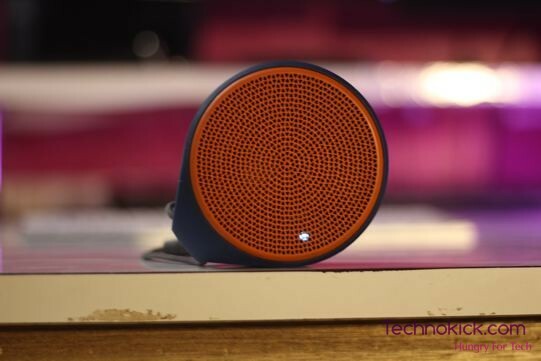 I have listened to the Mi Bluetooth speaker as well and this one has better base output due to its cylindrical design. 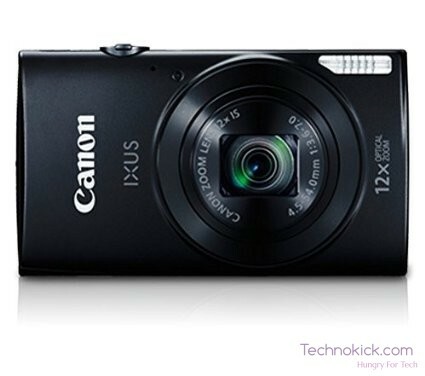 It is small and compact so you can keep it anywhere you want. Just keep it oil your backpack and you are good to go. Ambrane BT-6000 Bluetooth Speaker Review! 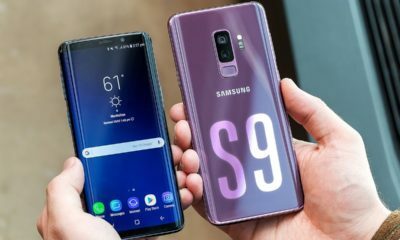 There are a lot of Bluetooth headsets available in the market but none of them are good, some have poor range, some lack the battery life while some looks pathetic. 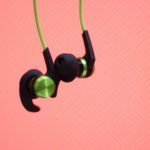 So I went to amazon and started researching for a Bluetooth headset, I was thinking to make a list of the best ones but I could hardly find any. 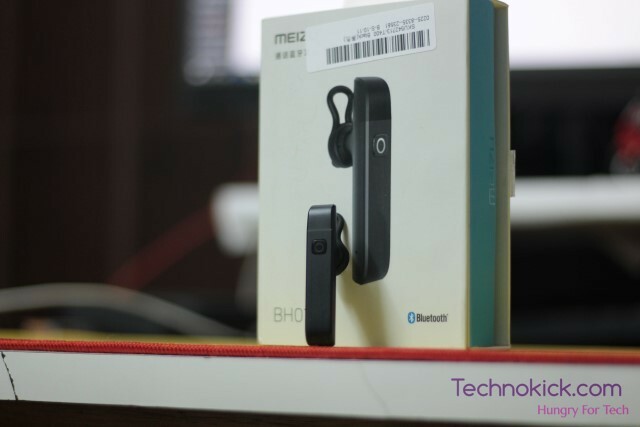 So I went to international sites and found the Meizu BH01 Bluetooth headset, So today I would be reviewing it and check if it’s worth your money or not. 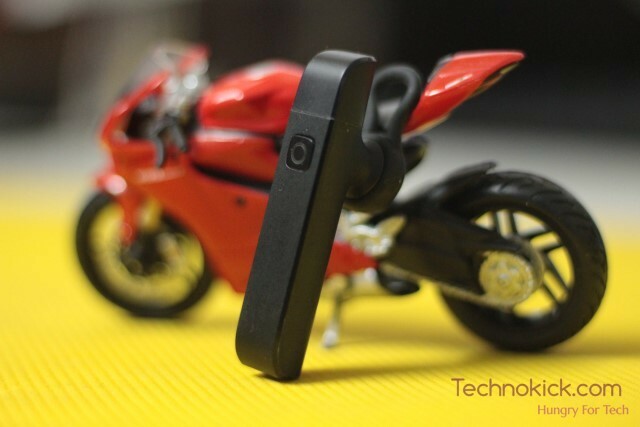 The Headset has a very subtle and sleek design. It has a single button which performs multiple actions. 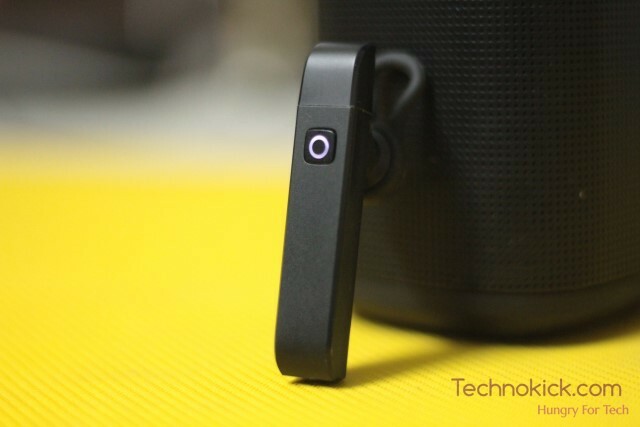 The headset is cylindrical from the rear while from the front, it appears to be a rectangle. 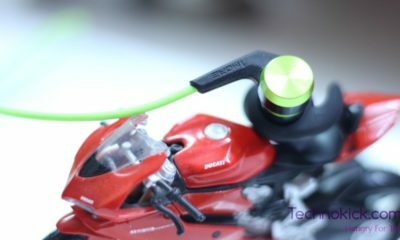 This is one of the sleekest headset available in the market. It is made up of good quality plastic and will not be breaking anytime soon. I have dropped it a couple of times as well but there is not even a single scratch on it. Even though the headset is relatively small, the sound quality is on point. The call is clear and loud. You can hear the other party well and would not face any issue. However, this isn’t the best choice for listing to music as the speaker lacks low-end completely. 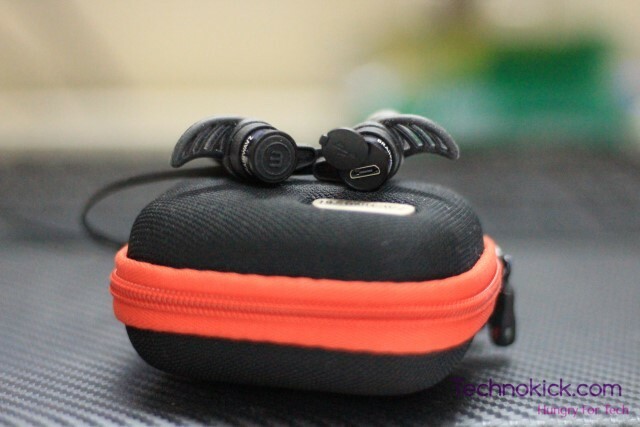 These are the most comfortable headsets I have ever seen, Even though it lacks the outer ring which goes around the ear, the Eartip is very soft and fits snugly inside your ear. You can keep wearing the headset for all day and you won’t even notice it. 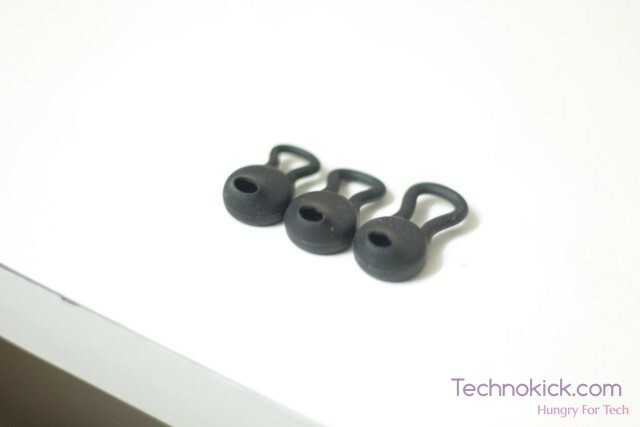 The headset supports passive noise cancellation which means that it removes the noise caused by the bad network. At first I though it is just a gimmick but as the matter of fact it works and it works well. I have to say that I have been very impressed with this. 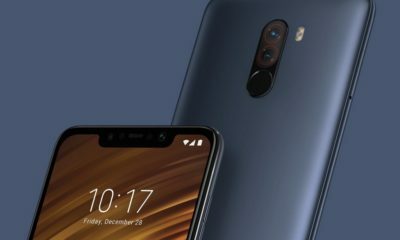 Meizu has mentioned of a working battery life of about 5Hours but surprisingly I was able to get up to 7 and a half hours of working battery life which for me means that I have to charge it once a week. I don’t think there is any other headset which can provide such battery life. 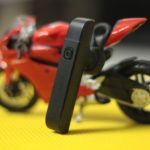 If you have been looking for a Bluetooth headset which you can use while driving, traveling or even while in office, This is definitely the best one you can buy. 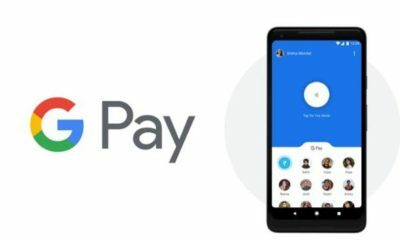 Surprisingly, they cost just 17$ so it won’t create a whole in your pocket. 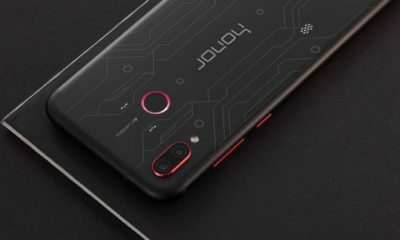 Below is a buying link from Banggood.com. 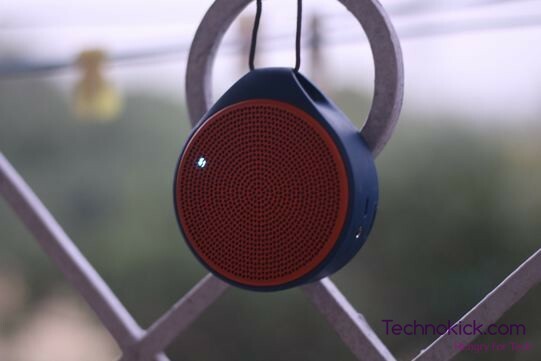 Nowadays there are n number of bluetooth speakers available in the market ranging from anywhere from 500 bucks to over 20,000INR. 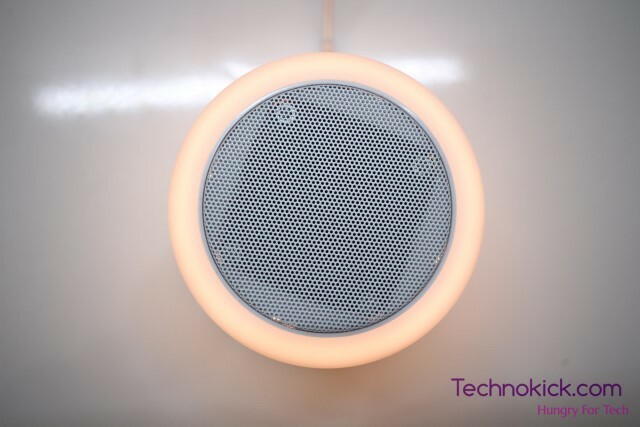 All the speakers do just one thing; they output sound. Some are great in it while the other ones just aren’t good enough. 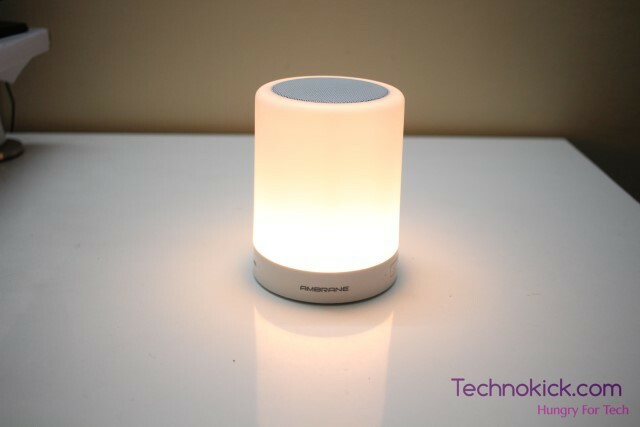 The Ambrane BT-6000 is a Bluetooth speaker as well but is also an Ambient light lamp. This is something very innovative and practical as well. Let’s have a close look on these. 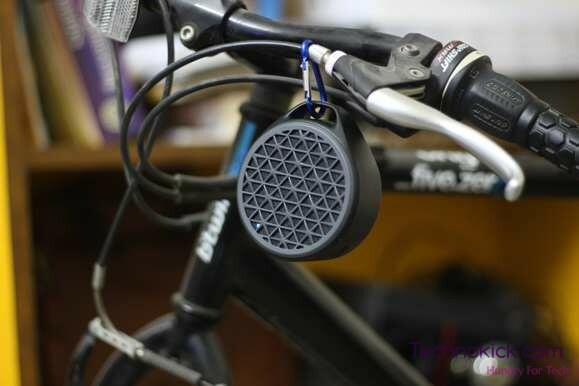 Bluetooth speakers are made to be portable so that you can keep them in your backpack and use them on the go. The BT-6000 is not meant for rough conditions and is no way rugged. It’s rather delicate and should be kept with care. It is build of plastic all around with the metal piece only being on the top as the speaker grill. The overall quality of the materials used is good. The buttons, however, are poorly made and lack the tactile feel. 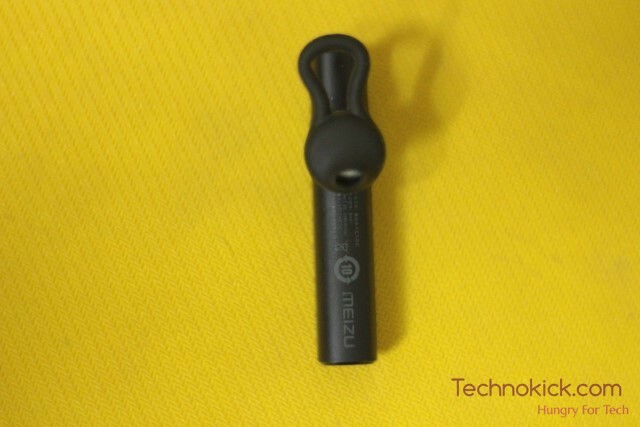 In the connectivity sector, you can connect your phone via Bluetooth as well as with Aux cable(Provided in the box). You can also use a memory card to listen to songs. The speaker is loud, and the audio is clear as well. Due to it’s cylindrical design it handle’s base very well. 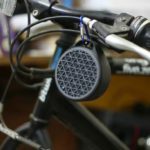 The audio you get is very similar to a conventional speaker. It is loud and clear. 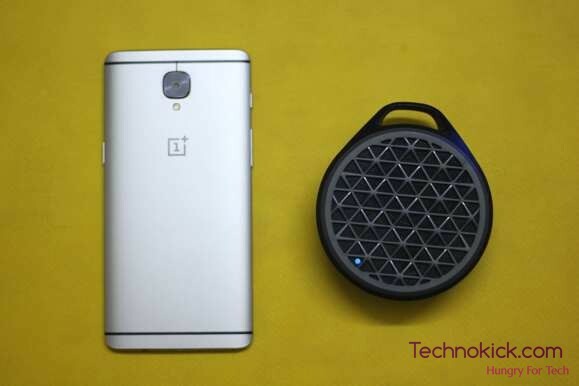 It does not have that high end dominated sound which you get from say Mi bluetooth speaker. 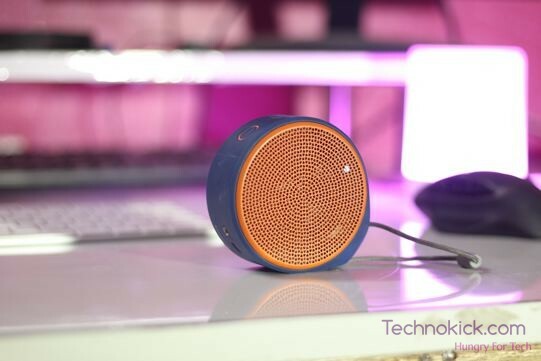 I did not expect such good Audio from a Bluetooth speaker so affordable. 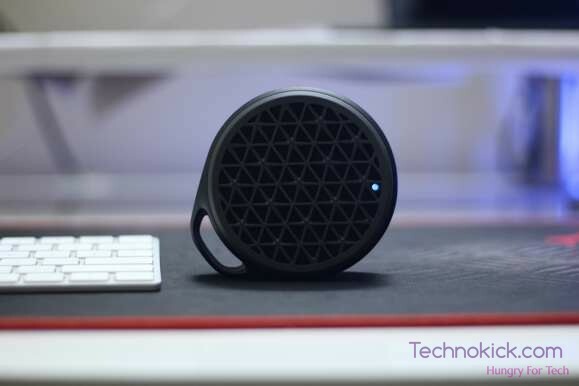 This is the best feature of this Bluetooth speaker. The lamp. There are two modes in it. 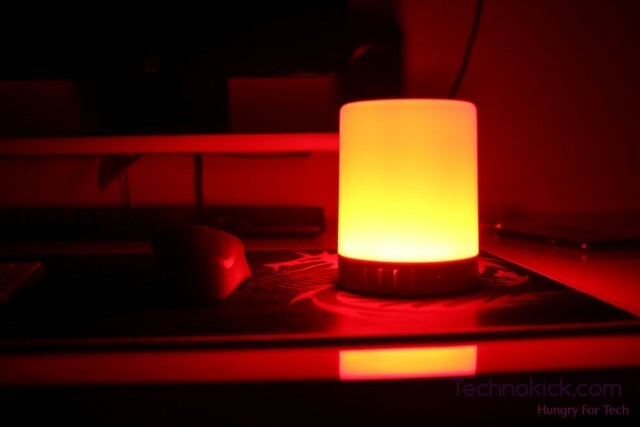 First one has a Skin coloured light which can be used as a night light or just to cool the atmosphere. You can change the intensity of that light in three stages. In the other mode, you get six different colours, Red, Blue, Green, Yellow, Purple and magenta and also a phase where the light will cycle through all these couloirs. 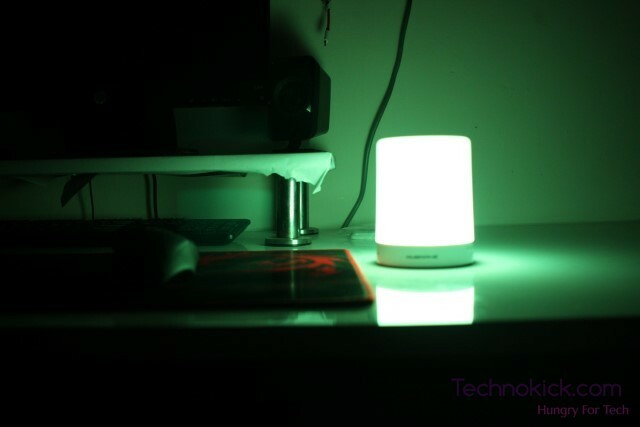 There is another mode in which the light will act as a visualiser and will glow according to the audio playing on the speaker. 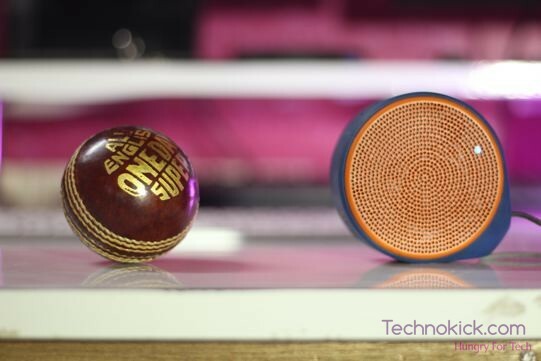 These are one of the loudest bluetooth speakers you can buy under 2500INR. They handle base well and is good on the high end as well. 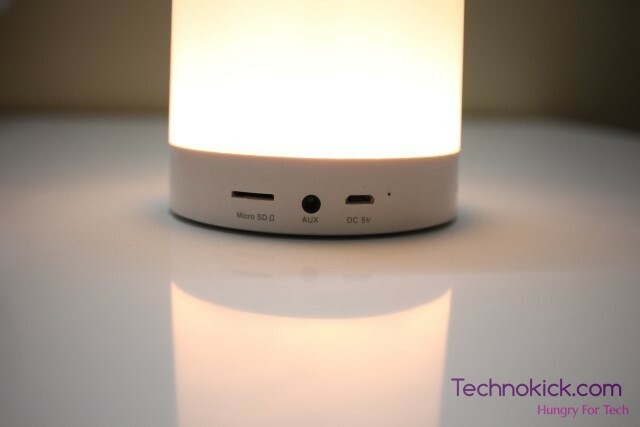 The lamp feature is a great add-on and has a lot of practical uses as well. 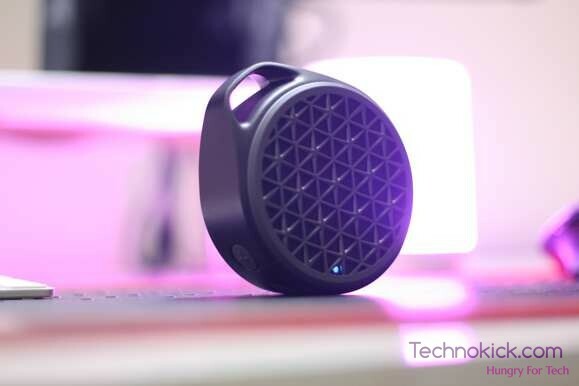 Overall this is one of the Best bluetooth speakers I have used.